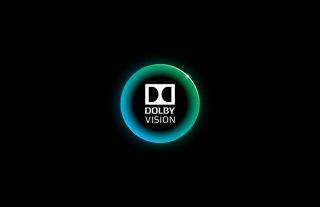 Dolby Vision coming to Warner Bros 4K home cinema releases | What Hi-Fi? Dolby Laboratories and Warner Bros Home Entertainment have confirmed that forthcoming 4K Ultra HD home cinema releases – including The Lego Movie – are to be released in Dolby Vision in early 2015. Edge of Tomorrow and Into the Storm are also among the 4K titles that have been mastered in Dolby Vision, the imaging technology that aims to help content providers and television manufacturers offer an enhanced visual experience. Both Dolby and Warner Bros are working to release the first line-up of 4K movies before the first TVs that are able to support Dolby Vision technology hit the market. Further new releases are planned in the months ahead. Dolby Vision is billed as an end-to-end solution that starts with the creation of content and carries on through to the distribution and playback. It already has secured support from TV manufacturers, OTT service providers and more. Warner Bros Home Entertainment president, Americas, Jim Wuthrich added: "The future of imaging and television is full of amazing possibilities, and we’re eager to expand our partnership with Dolby to deliver a steady pipeline of Dolby Vision titles. "We are able to provide home audiences around the world with dramatically enhanced picture quality that fully engages their senses and brings Warner Bros movies to life in their living room."